Clare began working in travel medicine in 2001 whilst taking a break from Accident and Emergency nursing. She enjoyed the speciality so much that she went on to establish her own clinic in 2003 and has been running it ever since. 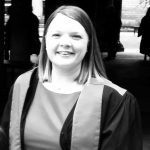 Clare has successfully completed the Diploma in Travel Medicine and in 2012 passed the first entrance exam for admission as a Member to the Faculty of Travel Medicine at the Royal College of Physicians and Surgeons of Glasgow. Clare has continued to be involved in the college, having previously overseen the Diploma and Foundation Courses in Travel Medicine. She is now an examiner for the Faculty of Travel Medicine’s Diploma of Membership exam and is part of the exam question setting group. Clare is also a yellow fever trainer with Health Protection Scotland. She continues to practice within her travel clinic and brings with her to TREC the experience of advising travellers within a busy travel clinic. Margaret Umeed (MSc RGN FQNIS FFTM [RCPS Glas]) trained as a Registered General Nurse in Glasgow, qualifying in 1987. She has worked in General Practice since 1990 having previously worked in Infectious Diseases and in Pakistan. 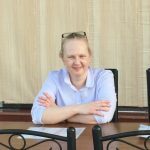 Having completed the Diploma and MSc in Travel Medicine at the University of Glasgow she has been involved with the Glasgow Foundation and Diploma courses since 1999 and is an examiner for the Faculty of Travel Medicine’s Diploma of Membership Exam. She served as Honorary Secretary to the FTM Executive Board between 2012-2018. She is a Yellow Fever Trainer with Health Protection Scotland and sits on the Scottish Malaria Advisory Group. She currently works full time as a Specialist Nurse Practitioner (General Practice) and Trainee Advanced Nurse Practitioner, whilst completing a post graduate qualification in Advanced Clinical Practice.